Have you ever wondered what the difference between wool sweater and cashmere sweater? Why is cashmere coat more expensive? Material of cashmere and wool, what the difference is? Just look at a group of comics below! 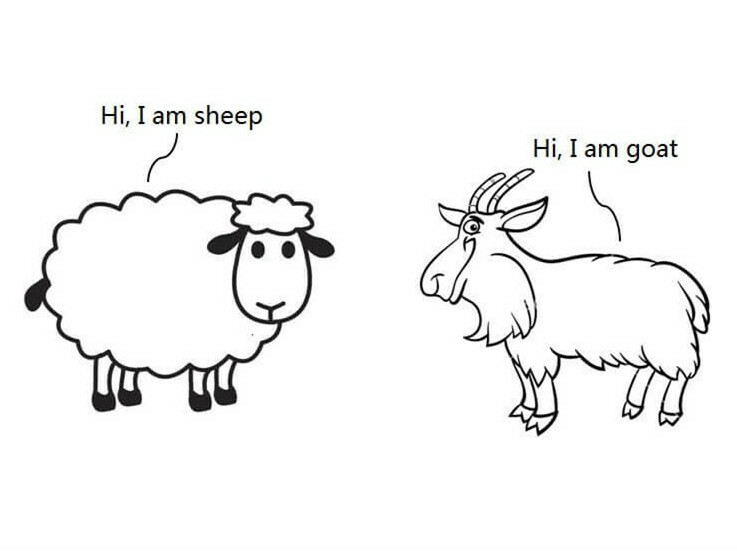 Now you get the point, cashmere and wool come from different kinds of animals, wool from sheep, and cashmere from goats. Wool-gathering is like a haircut, shaved with scissors all over the body, each sheep can produce a few kilograms of wool per year; while cashmere collection is to use a special iron comb to get the hair down with a little bit, every sheep annually harvests only a few dozen grams. Using a microscope can clearly see their differences: cashmere material is 14 to 16 microns in diameter, much finer than wool; cashmere is 1.5 to 2 times warmer than wool, and it feels more smooth, and if cashmere sweater has some folds, make it hang for a night then it will be flat and neat again. In addition, the wool is mainly from the southern hemisphere, such as Australia, while cashmere mainly from the northern hemisphere, China’s cashmere production accounts for 50% to 60% of the world’s output. 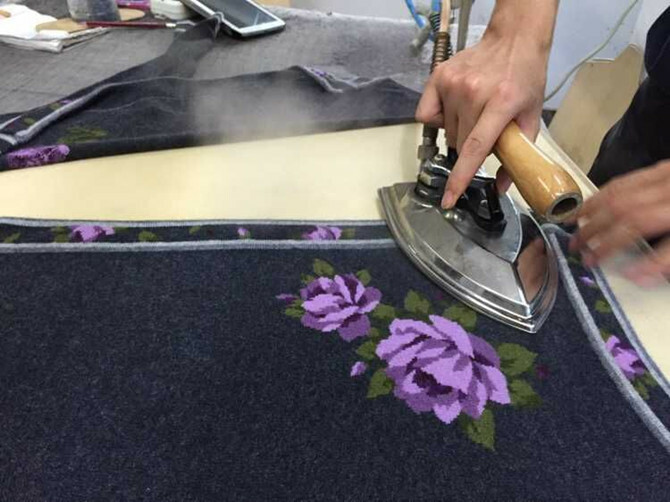 Many high-end Italian cashmere yarn spinners source raw materials from Inner Mongolia, China. Cashmere can only be collected once during the early spring, and only occupy 0.2% of world production of animal fiber. 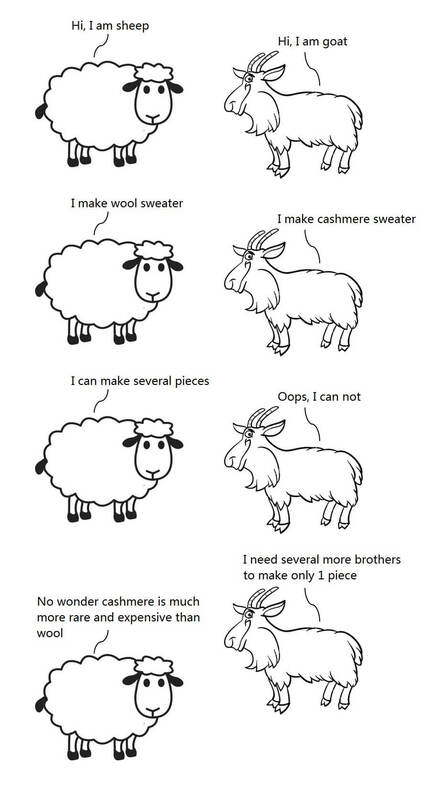 No wonder cashmere is so rare and so expensive. 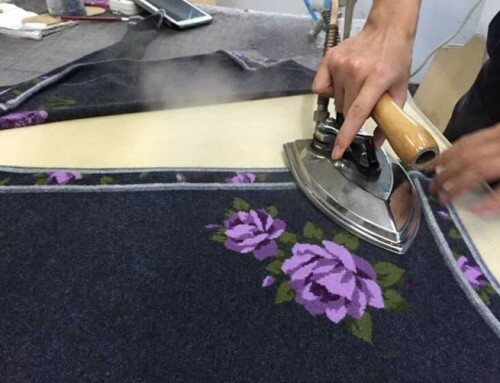 How to wash cashmere sweater during production process in knitwear factory?